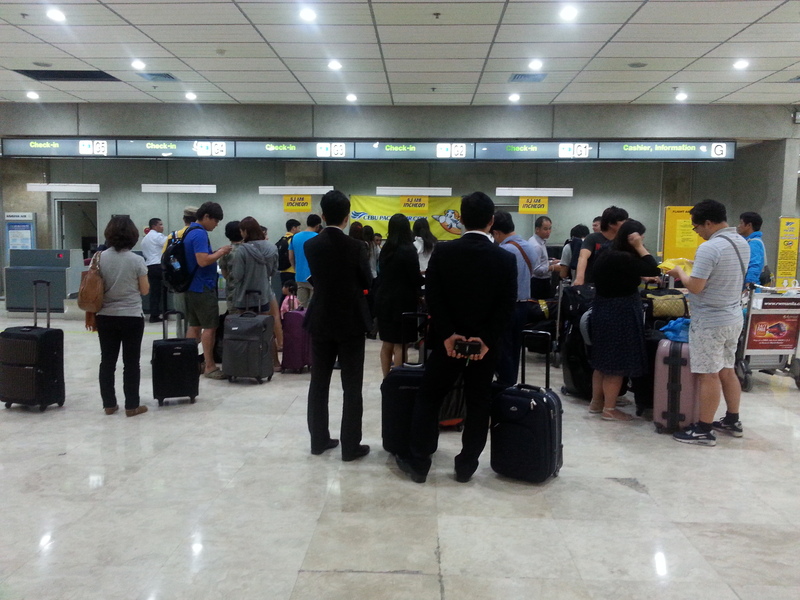 About a year ago, we booked our round trip tickets to South Korea when Cebu Pacific had a Seat Sale. We spent Php 7,022 each. 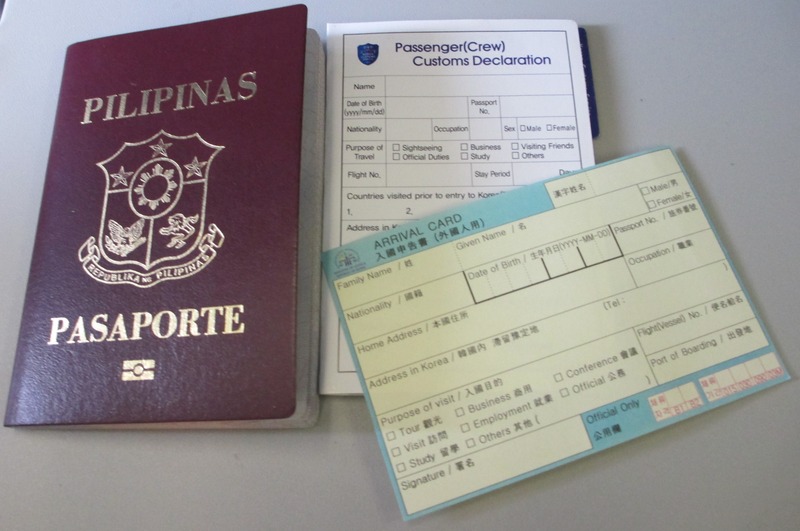 The regular round trip airfare costs around Php 19,000. It was a good deal. 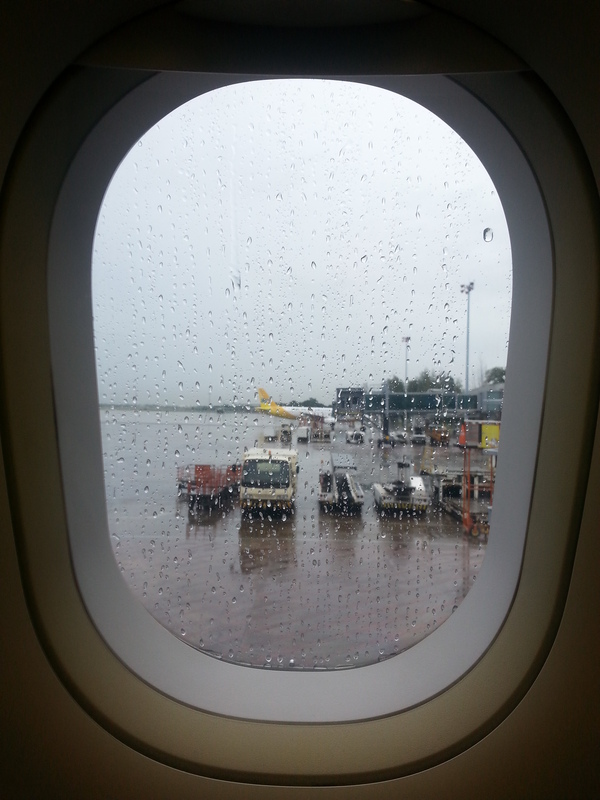 Checked in at Mactan-Cebu International Airport. Our flight was at 3:55 P.M. The Flight Attendant provided us these cards to fill out. I forgot to bring my pen…again! 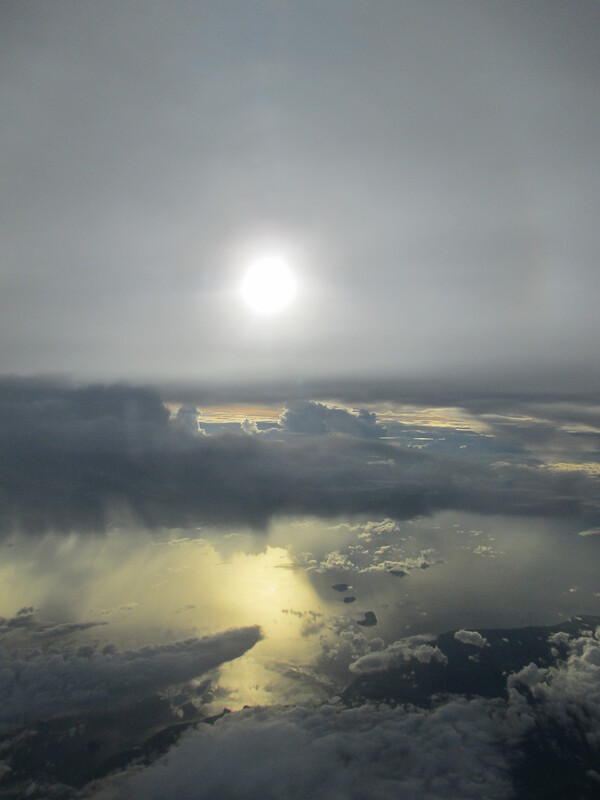 Thank God the rain stopped but it looked like it was raining down there. Our pre-ordered meal. 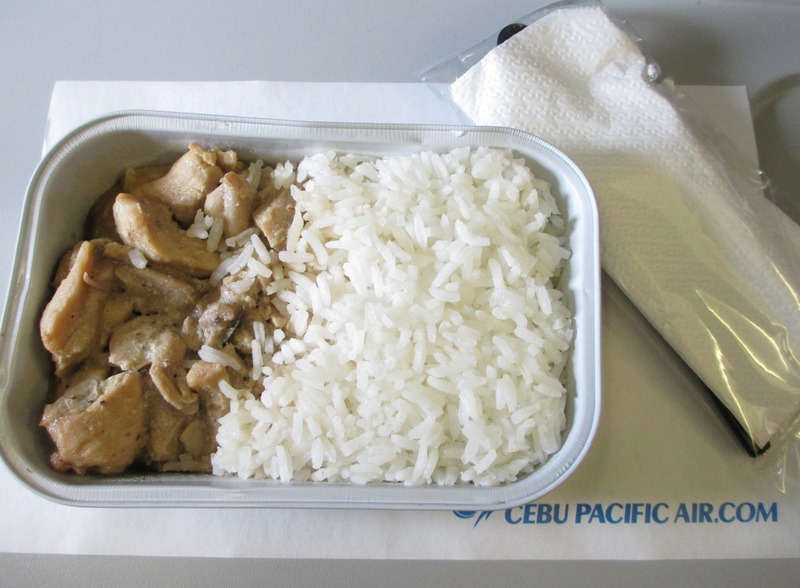 We originally chose Black Pepper Chicken but they replaced it with Chicken Adobo. It didn’t taste and look like Chicken Adobo at all! 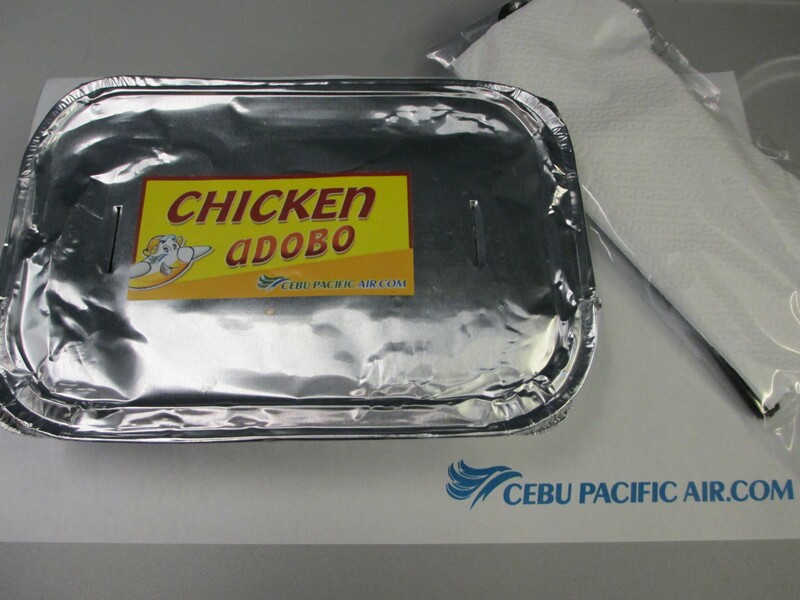 Cebu Pacific also had some items for sale. 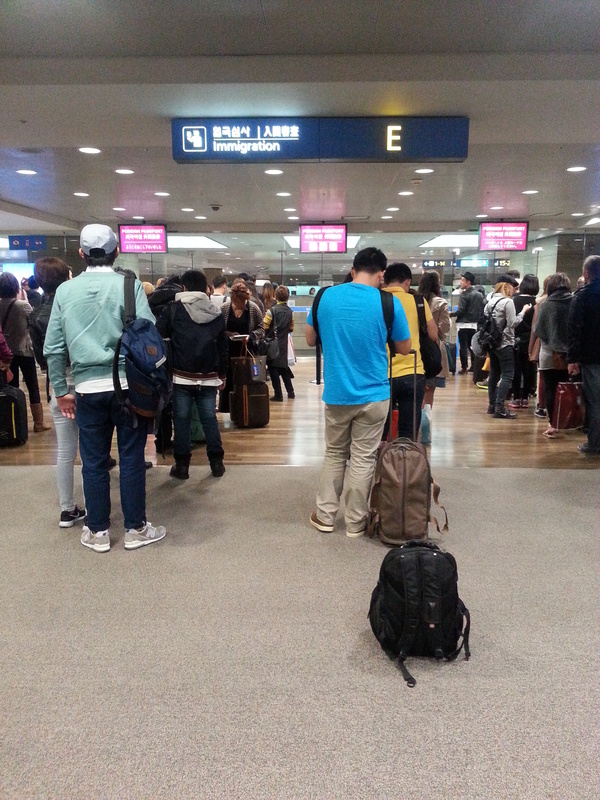 We arrived at Incheon International Airport at 9:15 P.M.
Immigration. I took this picture before I saw the “No picture-taking” sign. Oops. 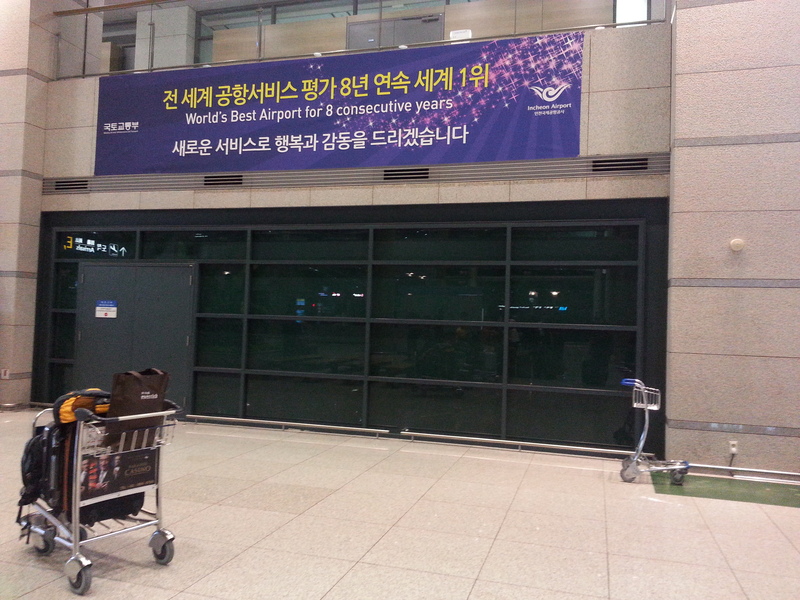 World’s Best Airport. ‘Nuff Said. 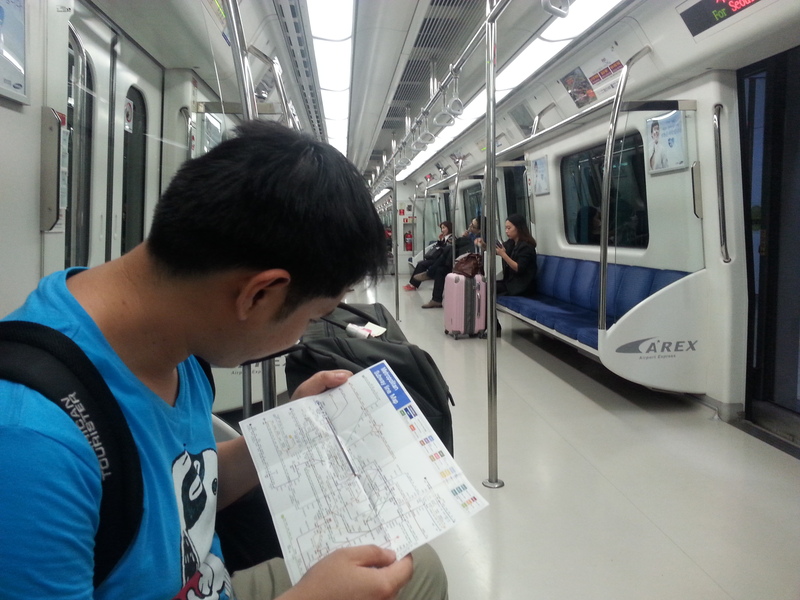 You can ride an AREX train from Incheon International Airport to Seoul. 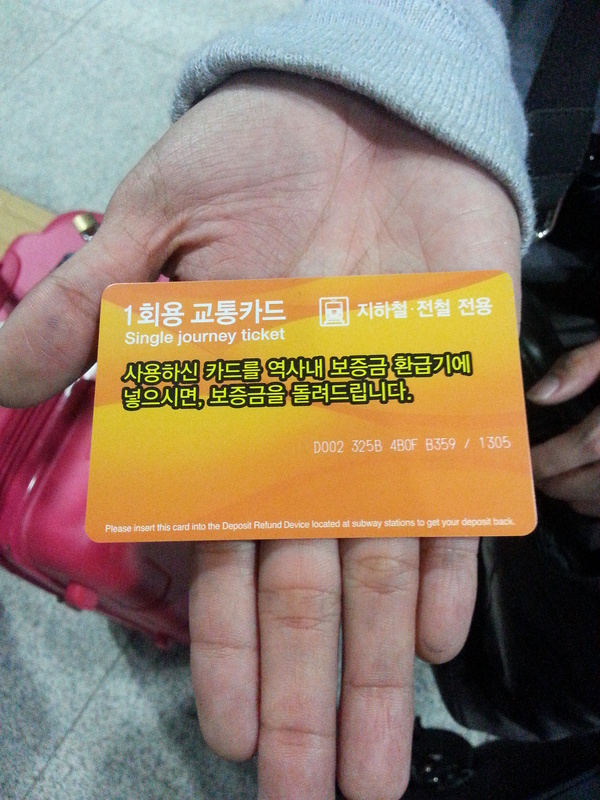 This AREX card costs KW 4,550. One way only. 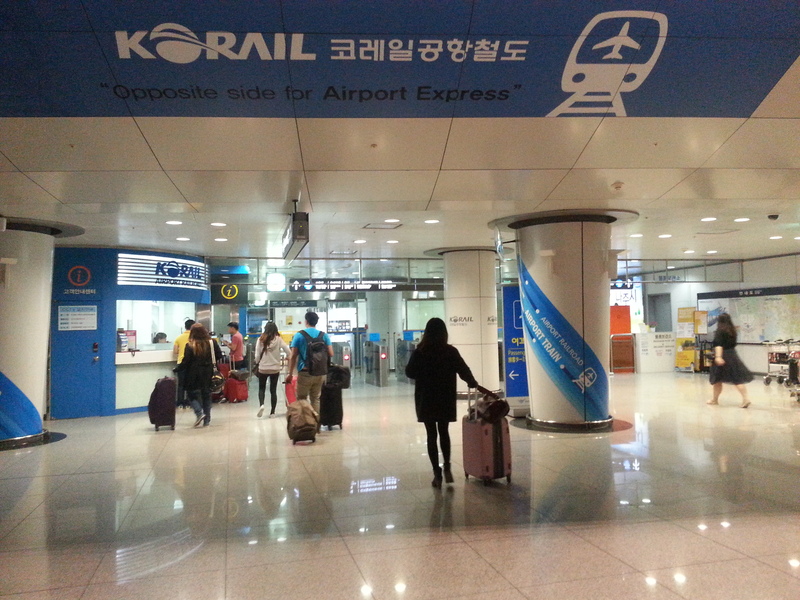 Incheon International Airport to Seoul Station is a 1-hr ride. 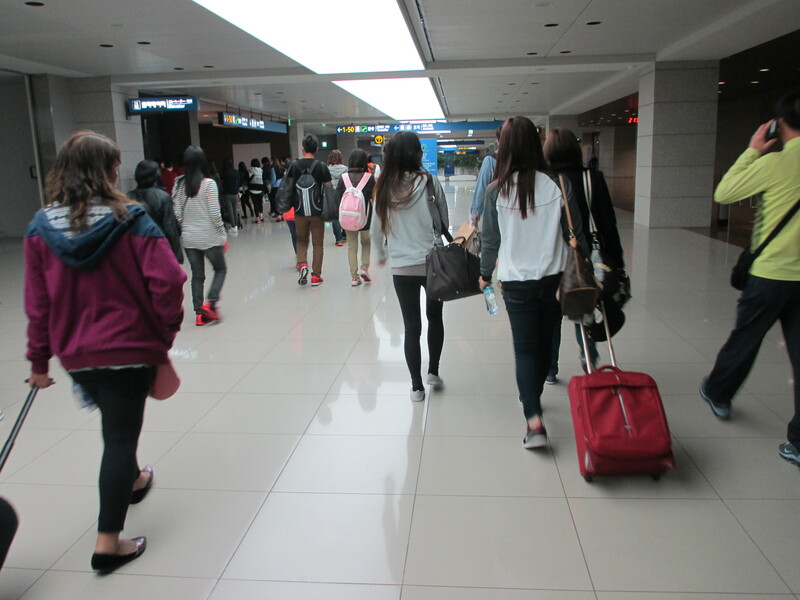 We walked with our heavy luggage from Seoul Station to 24 Guesthouse. 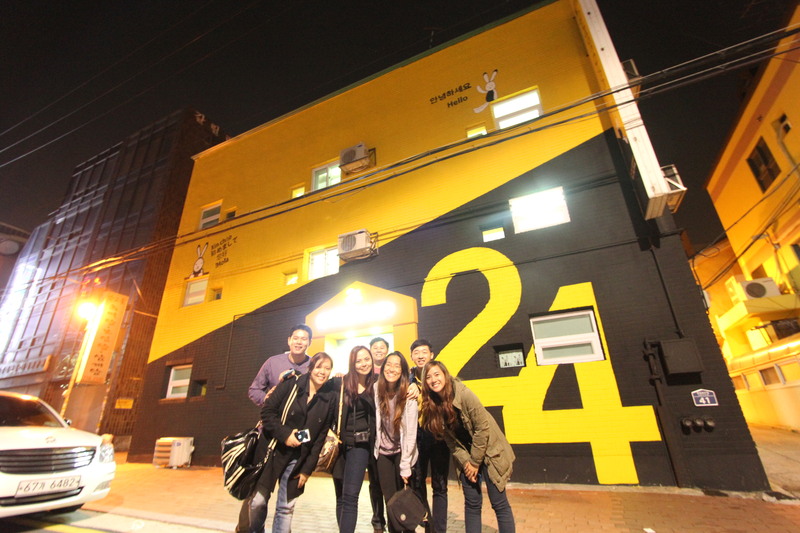 This guesthouse was near Seoul Station but we had a hard time looking for it. We got lost during our first night. We arrived at the guesthouse at almost 11 PM and the temperature was 10°C. 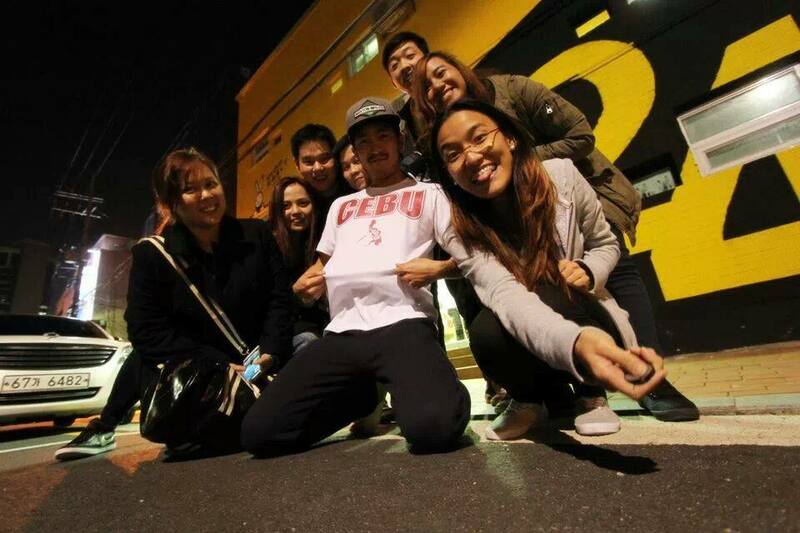 Jason (top picture: wearing “Cebu” shirt), the one in charge, was very friendly and accommodating. He speaks good English too! We already booked the rooms online days before our flight. The rooms were small but it was cozy enough. We only stayed there for one night and took the train to Busan the next day. 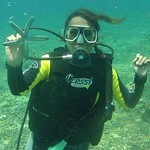 Check this website for their rooms and rates.